Jocku was a monk of great regard who had retired from the world to meditate and practice his arts in solitude. 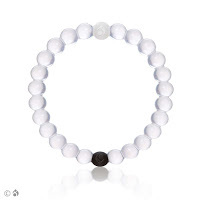 During this time of solitude, he crafted this bracelet as a means to reduce the amount of sleep he required in order to increase the amount of time he could study, meditate, and practice. After his time alone, which lasted nearly three decades, he returned to the world a bastion of peace and wisdom. Upon his death, the bracelet was taken to a monastery but was eventually lost to a group of drow who were able to reverse engineer it's powers and replicate it though never with the full power of the original which was lost in the process. While the other allowed the user to treat all short rests and long rests, the replica's allow this power to be used once per day. The bracelet's appearance is always the same, a series of beads filled with a clear fluid that turns black after it's daily use. The power recharges when the user takes a long rest.